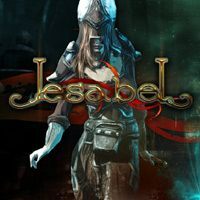 Iesabel is a fantasy action-RPG produced by Madman Theory Games studio in Gdynia. The player takes on the role of a hero who has to face the cruel queen Iesabel and her cult of the crazy god Baal. Production allows you to have fun in the mode of cross-platform cooperation. publisher : Forever Entertainment S.A.
Multi­tude of unique loca­tions set in dif­fer­ent sur­round­ings. You’ll visit shrines, dun­geons, deserts, swamps, cementer­ies, vil­lages and many, many more! An easy to under­stand yet expanded tree of skills. You have three types of skills: Class, Eth­nic, Alchemy. Each char­ac­ter class obvi­ously spe­cialises in a dif­fer­ent set of skills and you can not just pump your points into the lat­est one, often it’s more ben­e­fi­tial to invest in lower tier abilities. A fully ran­dom sys­tem of items drop. Except for quest rewards you’re very unlikely to see two iden­ti­cal items dur­ing your game. Each has dif­fer­ent abil­i­ties and mod­i­fi­ca­tors, so there is always a rea­son to search for bet­ter ones. There also are very rare and very pow­er­ful drops that will give you a sig­nif­i­cant edge in your fights. A com­plex item craft­ing sys­tem. You can make some extremely pow­er­full items if you’re lucky. Over a hun­dred dif­fer­ent types of ene­mies to slaugher. From wildlife, through undead armies, to giant golems that are short to invin­ci­ble, you will encounter chal­lenges through­out your whole journey. Mul­ti­player mode is not about giv­ing any promises that we can­not uphold. We don’t claim that it is phe­nom­e­nal, rev­o­lu­tion­ary, that it takes you to nir­vana and cures can­cer. It’s exactly what you want. A great way to spend time with your friends slash­ing some bad guys. But wait! Your bro is an avid iPad user? Your aunt has a PC and you’d rather play on your new 5inch Full HD smart­phone? No prob­lemo, you can all join your forces and dis­mem­ber some mon­sters, each using their pref­ered device.